The History Behind Chem-Dry story started in the early 1970s with Robert Harris, a young man from California who worked for a carpet cleaning company while he attended law school at Brigham Young University in Utah. Harris wasn’t impressed with the cleaning products his company and its competitors were using. They took a long time to dry and left chemical residue that attracted more dirt. Harris began looking for a better way to clean carpets and found his inspiration in an unexpected place — in the air. While on a flight back home during a break in classes, some salad dressing landed on his silk tie. A flight attendant removed the stain with a surprising “cleaner”: club soda. So often, great things come from small moments. This one transformed Robert Harris’ life. Over 35 years, countless homes and offices have been made drier, cleaner and healthier because of what happened on a plane on this day in the 1970s, and it all started with a simple what if question in Harris’ mind. If carbonated water could work on a tie, he thought, why not on carpet? The concept was simple enough. 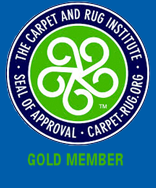 At the molecular level, carbonation has explosive properties that blast dirt and oil particles from carpet fibers. Our carbonation method is powerful enough to work with only a small amount of water, resulting in a deeper, drier and healthier clean than the most common method, steam cleaning. When Harris made his discovery, steam cleaning was the industry standard, even though it presents some real problems. Steam cleaners force large amounts of hot water into the backing of a carpet, then rely on high-pressure extraction to lift the water and dirt out. The more water you put on carpet, the longer it takes to dry and the more likely the carpet is to breed mold and mildew. Harris’ discovery was a breakthrough: Now cleaners could clean carpets more effectively while using a fraction of the water used in steam cleaning, eliminating the risk of mold and mildew. Harris realized he could start a revolution in the carpet-cleaning industry. 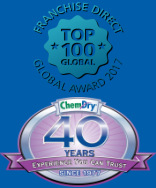 The revolution continues: Thirty-five years later, Chem-Dry is the largest carpet cleaning brand, with over 3,500 locations worldwide and a market share of 7 percent, the largest for a single brand. 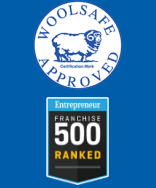 Today, we still operate with the same entrepreneurial spirit and a deep commitment to maximizing our franchisees’ investment in our brand through research and development, innovation and product development. We protect our intellectual property through patents and target our innovation for revenue-generating opportunities for our franchisees. 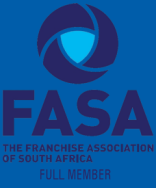 Copyright Chem-Dry Southern Africa | Franchises Are Independently Owned & Operated.